Are you lucky enough to be renovating a chateau or a large property here in France? 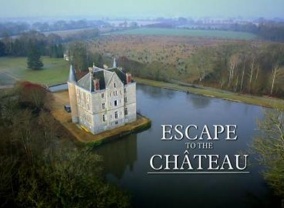 Have you been watching the TV series escape to the Chateau and thought that is what am I doing or I could do that? Good luck to anybody that goes forward and please let us know how you get on. And if you would like to move to France with out renovating and move into a completely finished house with the option to have a ready to go gite business take a look at the following link. House for sale Huelgoat Brittany France. Wouldn't it be lovely, but a lot of work, to renovate a chateau? I haven't heard of this show, but I'll see if I can find it in the US.